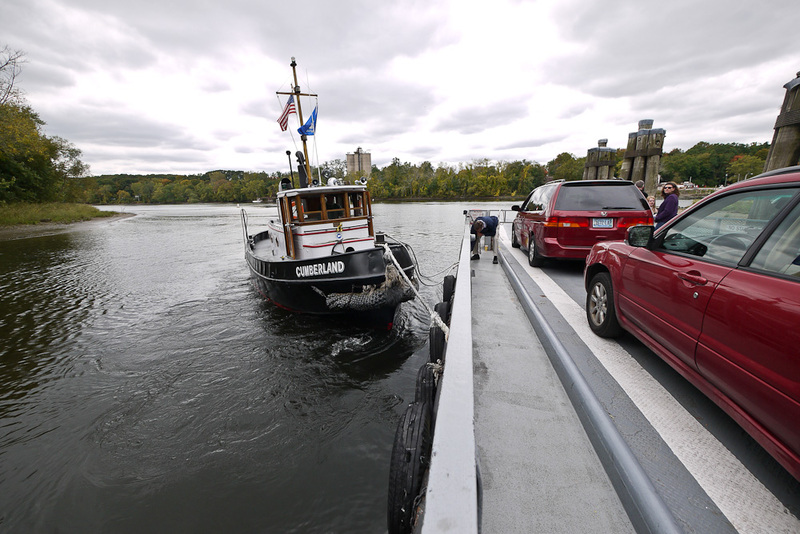 On our frequent drives up to Massachusetts we pass a sign on I-91 that says, “Connecticut River Ferry, April 1 to October 31,” and one of us always says, “We should check that out someday.” This past October, just a couple of weeks before the ferry closed for the season, we finally did it. 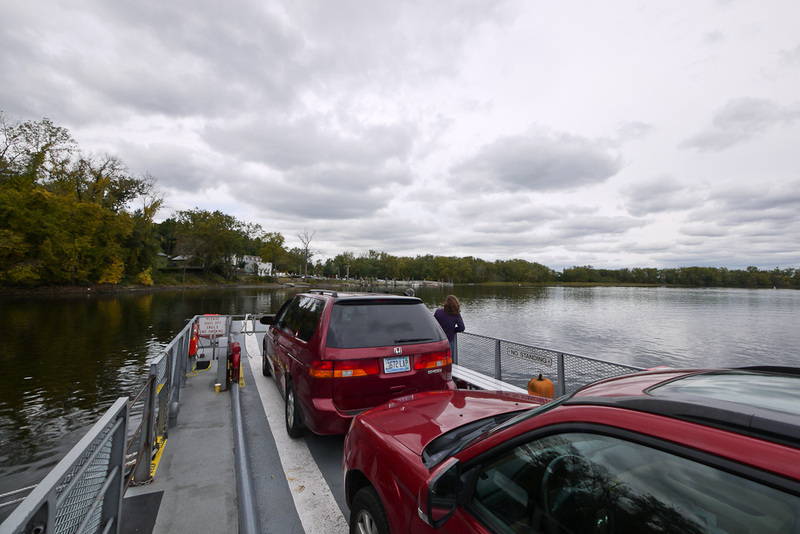 The ferry is the Rocky Hill–Glastonbury Ferry, and it’s the oldest continuously operating ferry in the United States. 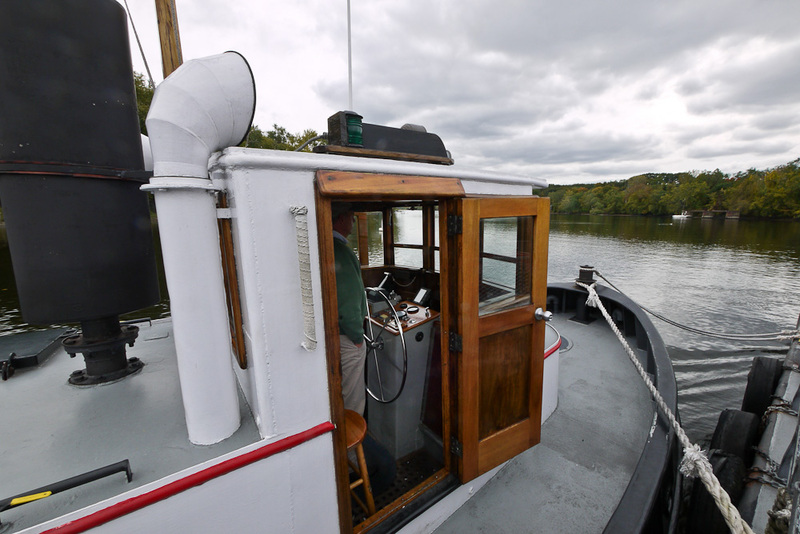 Vessels of various sorts have been providing service at this site since 1655. 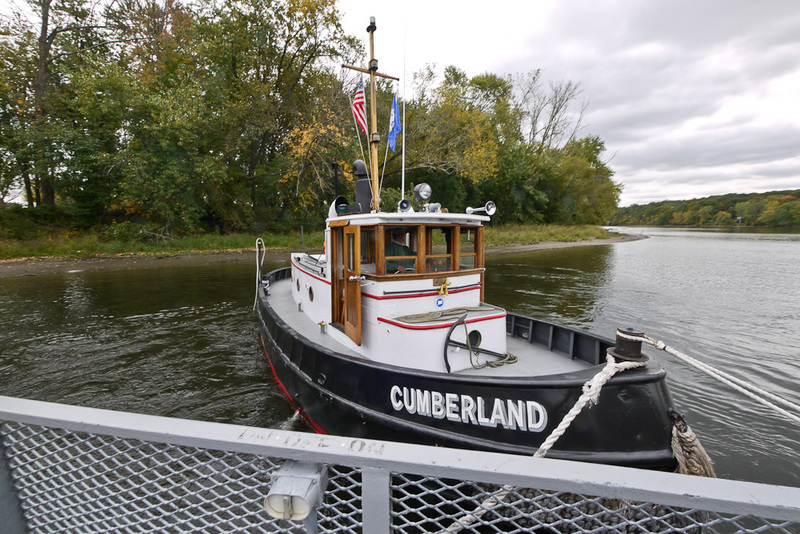 Today the towboat Cumberland pushes the Hollister III back and forth. 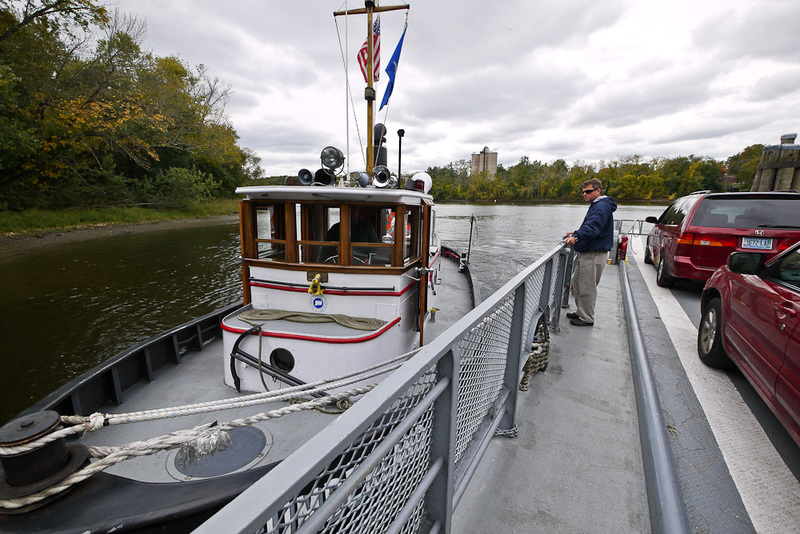 The Cumberland controls the barge with just two lines that run from the towboat’s bow to two points along the side of the barge. In the picture above, the barge is being held against the Glastonbury bank waiting for another car to board. 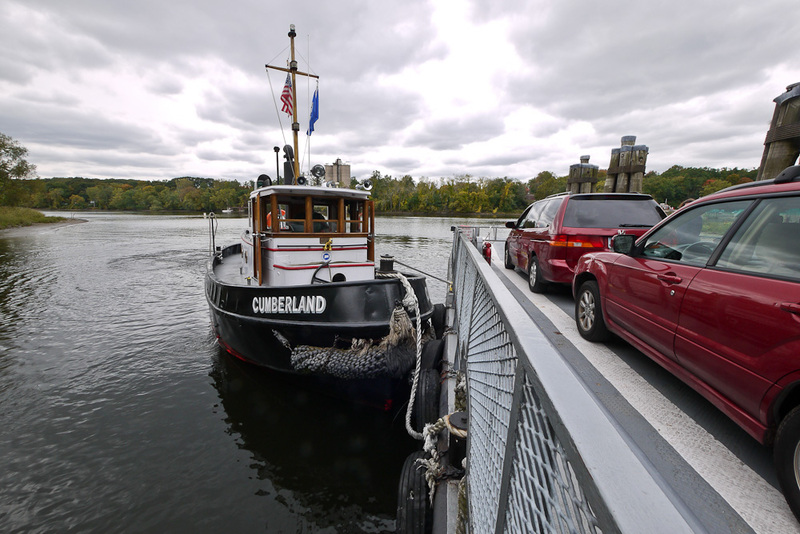 If you find yourself in this part of Connecticut, the chance to step (or drive) into history is totally worth the three-dollar fare to take your car on the ferry. 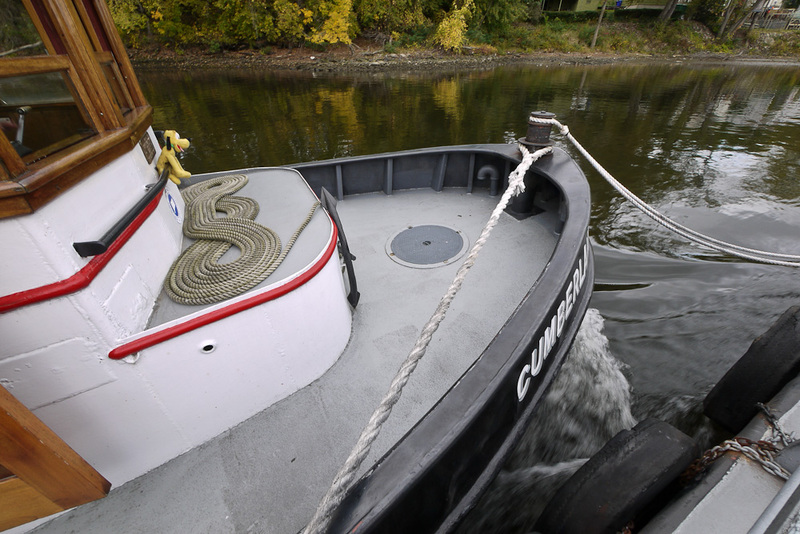 What a handsome little tug!